Even walls that get direct sunlight are no match for our new premium archival technology. 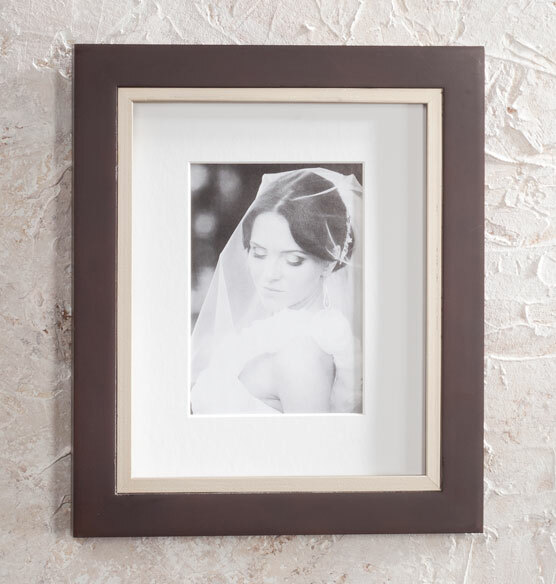 Prevent destructive fading and discoloration of professional portraits and other difficult-to-replace prints with Exposures Taylor Conservation Frame. 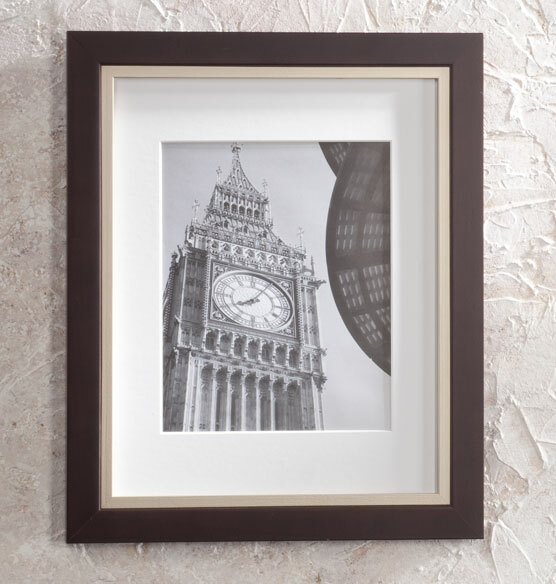 Trusted by top art museums, this photo frame has special UV-blocking glass and mountboard that actively draws harmful gasses and pollutants out. 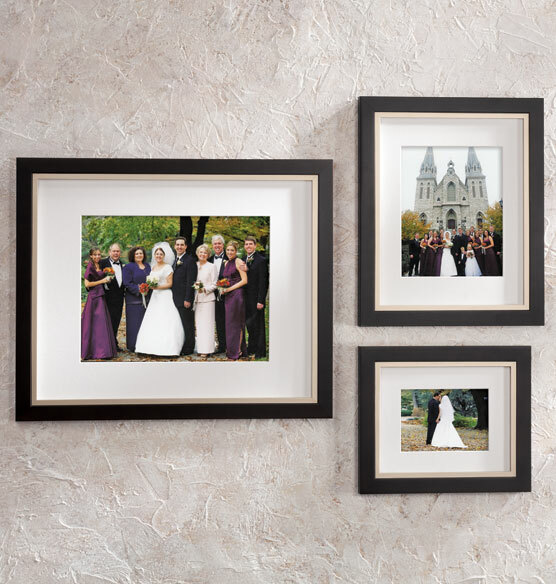 Hang photos on any wall you like while keeping them safe from harmful UV rays and environmental degradation. 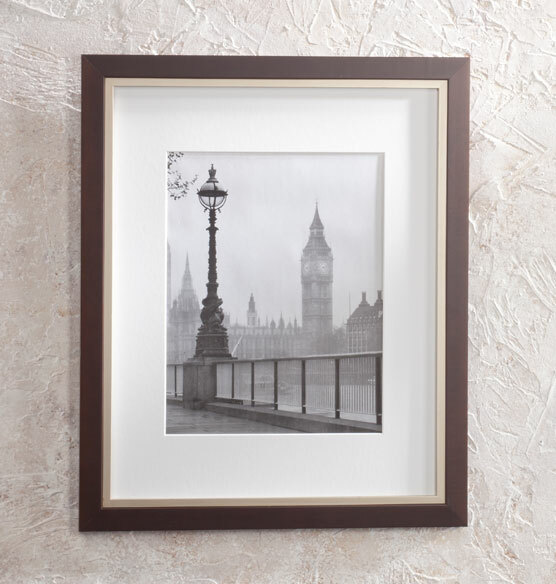 What does the back of the frame look like? What is the frame hanging set-up? BEST ANSWER: Thank you for your question. The back of the frame has two triangle hooks to be hanged either vertical or horizontal. It also has the stand so it can sit on a table. We hope this information will be of help to you. What does the hanging hardware look like for the 11x14 opening? Will I need one or two nails, in other words? I don't care for the 2 keyhole or triangle style hanging brackets that make installation very difficult. BEST ANSWER: Thank you for your question. The back is exactly what you do not want. We hope this information will be of help to you. my photo is 7.5 x 9.5" --got heritage mats? BEST ANSWER: Thank you for your question. We do not sell mats for frames. We apologize for any inconvenience.